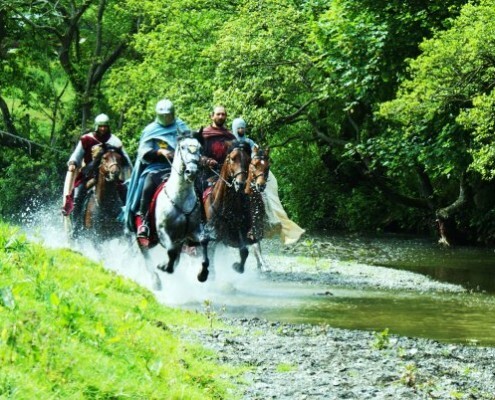 Dolbadarn Film Horses is located in North Wales, UK and works in the film and television Industry. 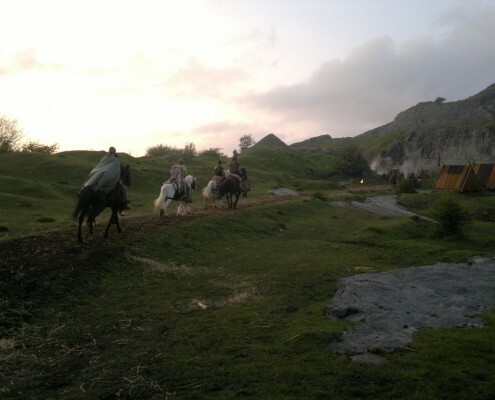 Dylan as I understand, Dolbadarn Film Horses is a family business, how and why did it begin? and how long has it been running? 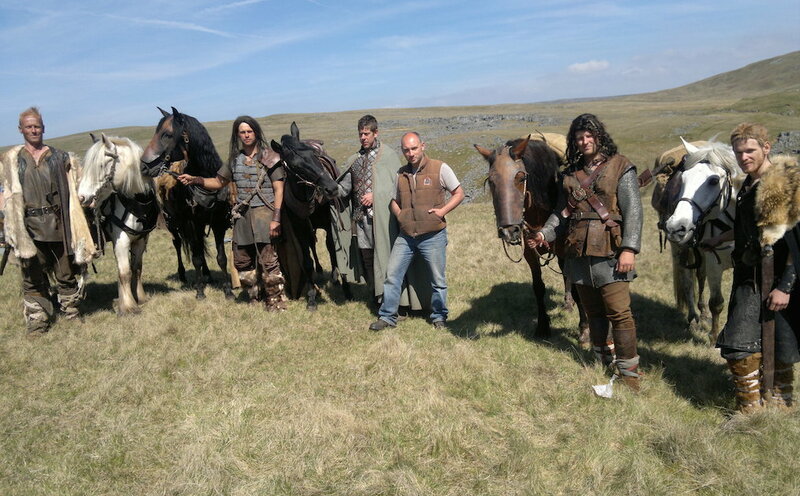 Yes, the Dolbadarn Film horses is a family company, formed in the early 70’s. My parents had a horse trekking business. They would to take regular trips to Ireland to buy horses from their friend, Austin Gaskin. Austin also supplied horses and carriages for TV and film. He was based in Bray close to Ardmore Studios. On one visit, Austin picked them up from the ferry port and drove them straight to Bray to look at the selected horses. Austin had picked 5 lovely Irish cobs. However the horses couldn’t leave straight away, as he was using them in a new Sean Connery movie, in which he was the Horse Master, Zardoz. To my father’s delight he was asked to assist Austin on the job, my mother got to be the double for the main actress on horseback…..and so it began. The business quickly grew and my parents supplied horses to many television and film jobs. 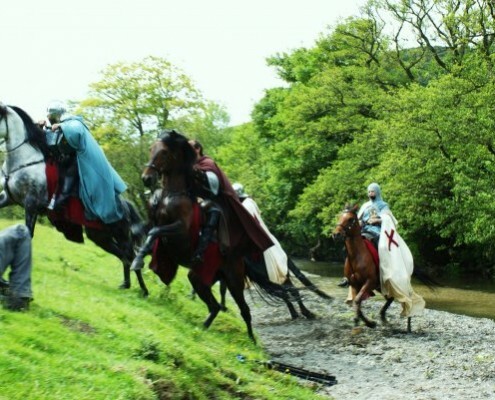 They worked on top films such as Michael Mann’s WW2 Horror, The Keep, The Far pavilions, with Ben Cross – where we doubled up the horses filmed in the Ogwen valley. 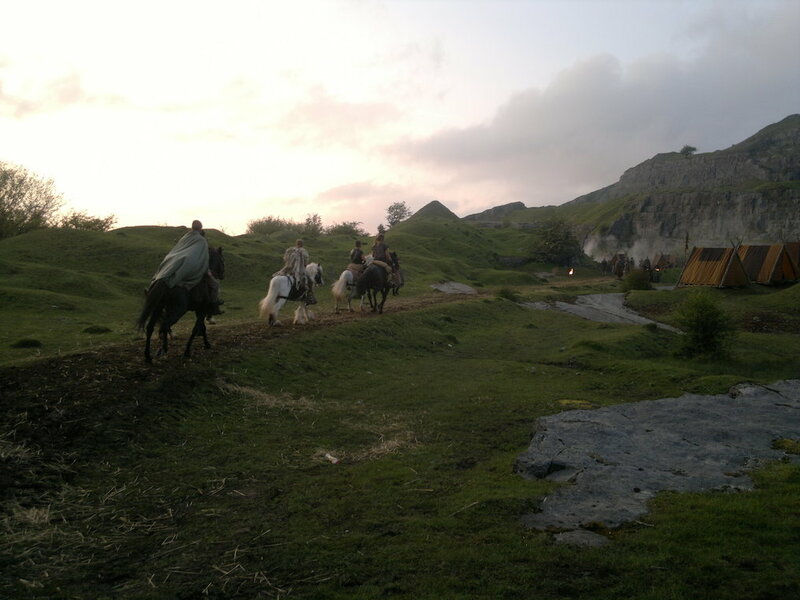 And more famously, we supplied a hundred horses on location in Dinorwic quarry for George Lucas’ fantasy movie – Willow. I was only 10 years old when I started to regularly assist my Mother, on location. 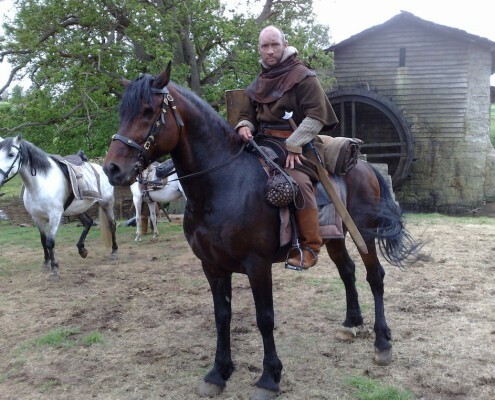 Amongst the hustle and bustle of horses being tacked up in period tack and trappings – riders in full costume mounting up and riding off to the set, two by two – I knew then this was something I’d love to do in my life. Having fallen in love with the business I went to college to study Performing Arts and did a degree in Theatre Studies. 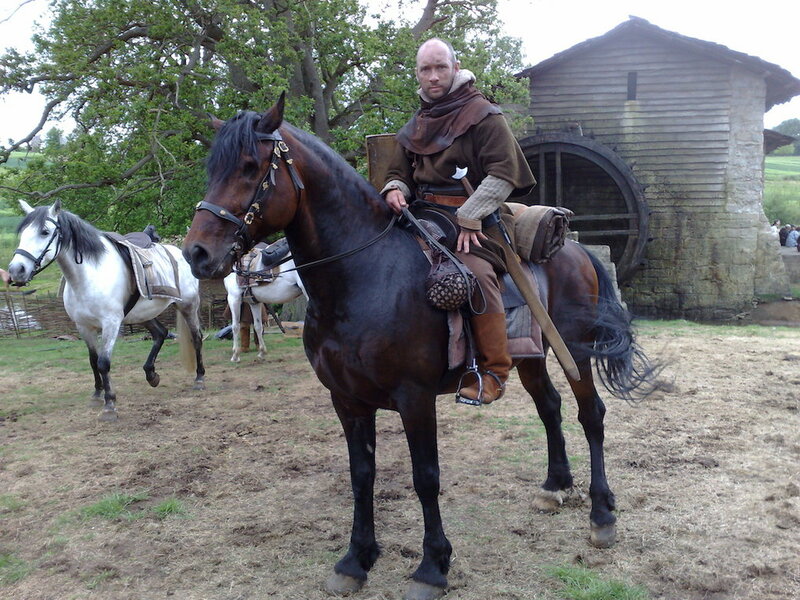 While there, my agent called to ask if I would like to work as a rider on a new Merlin movie. I jumped at the chance. On that film I rode along side some of the best stunt/action riders in the industry, I am still friends with them today. 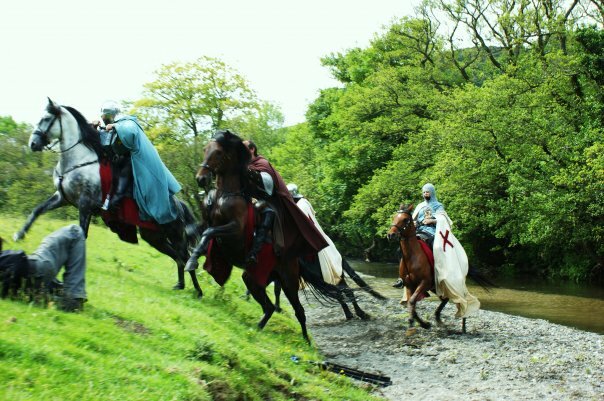 Doing this work confirmed my decision, to learn to run Dolbadarn Film horses! In the early days I trained with one of the stunt riders I had met on the 97’ Merlin, Ian. 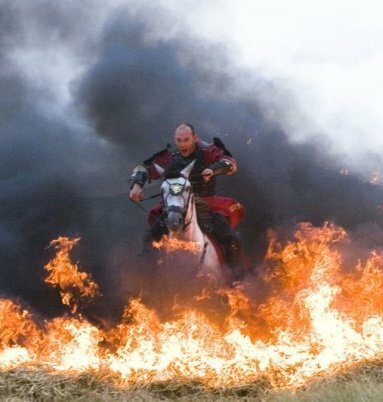 He had his own equine stunt team, called the horsemen of the Apocalypse. With Ian, I gained new skills as a trick rider and as a result, I went on to perform in live shows for a number of years. 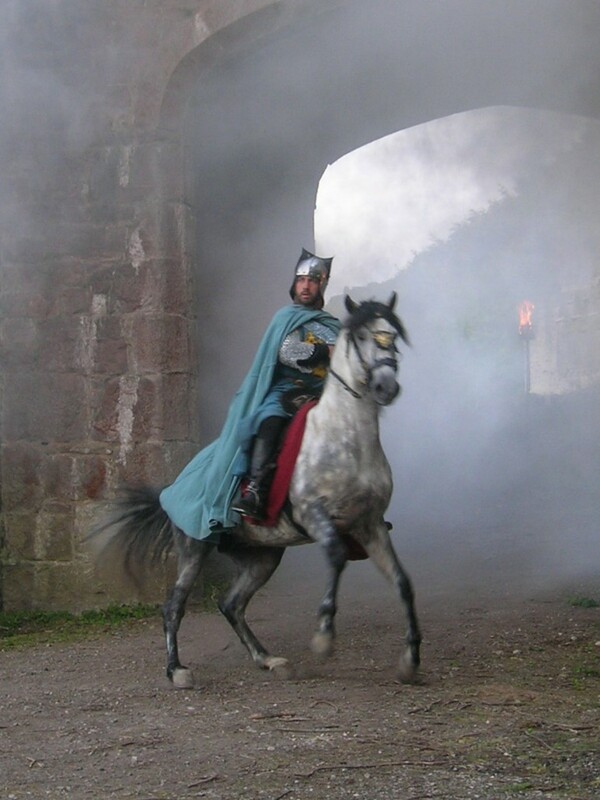 Also around the same time, I began to research different training styles and passionately looked back at the old Medieval style of riding, which took me through Europe to Portugal. In Portugal I found a few very good trainers and excellent horses. Since then, for about 16 years I’veve been regularly visiting Portugal. 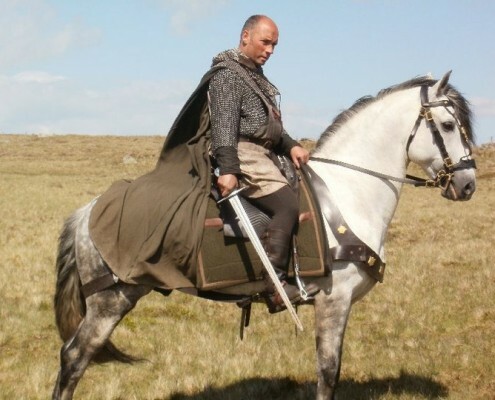 I feel I’ve developed quite a bond with the country, the people and the Lusitanos. Wow Dylan it’s lovely to hear that you enjoy Portugal so much, tell me what is about the Portuguese Equitation particularly attracted you? I am fascinated with the high standard of riding I’ve seen. I especially like the subtle body weight aids and the sharp versatility of the horses. This inspired me to learn more. In particular ‘the working equitation’ in Portugal as there are a lot of similarities between working equitation and the film riding we do. 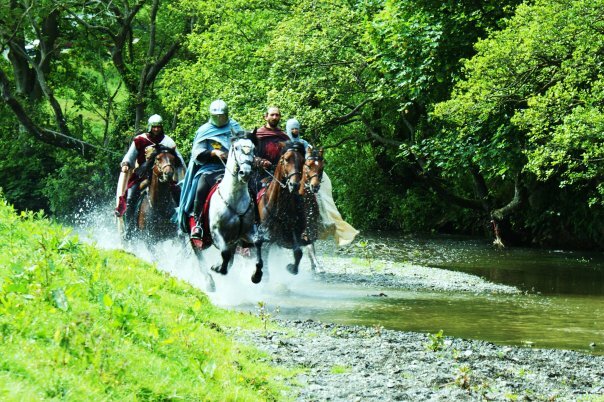 Particularly the period medieval riding. The medieval style takes us back to classical principles. I am very curious about your business it seems very fun and exciting, although I am certain behind scenes is a lot of training and hard work. Can you give us a bit more of an insight into your daily work and your horse’s jobs? 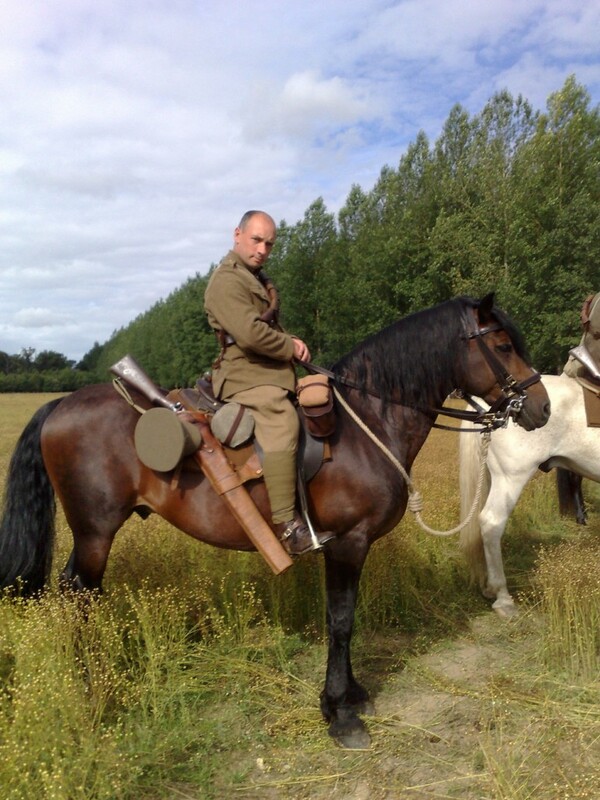 We train and supply horses to the entertainment industry. Our specialty is preparing the equines for the screen as well as live shows. 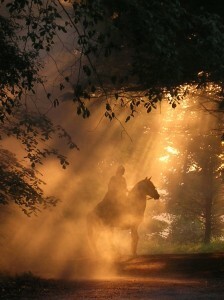 For this we have develop two types of horses – an “Actor” trained horse which has to be an intelligent horse. One that understands and respects the riding level of its rider novice or experienced. He has to be constant in the action whatever the rider is doing on his back. We train these horses to go from “A” to ”B” however many times it takes to get the perfect shots. It is very vital this training is done in a calm and safe way. The horse must be consistently calm at all times. We must always keep in the front of our minds that there is a precious artist in the saddle, trusting that the horse will look after them. 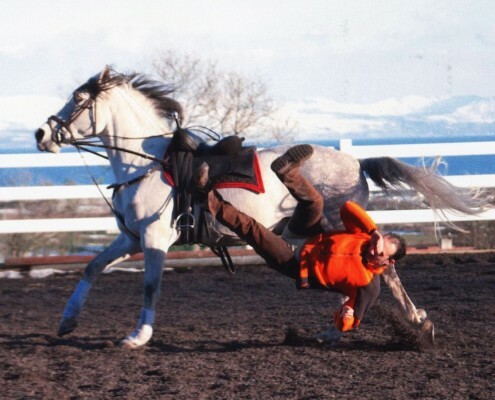 The other type is the action / stunt horse, These animals have to be courageous, brave, very trainable and even more athletic. They are fully trained rider’s horses. The action horse will run through a wall of fire. 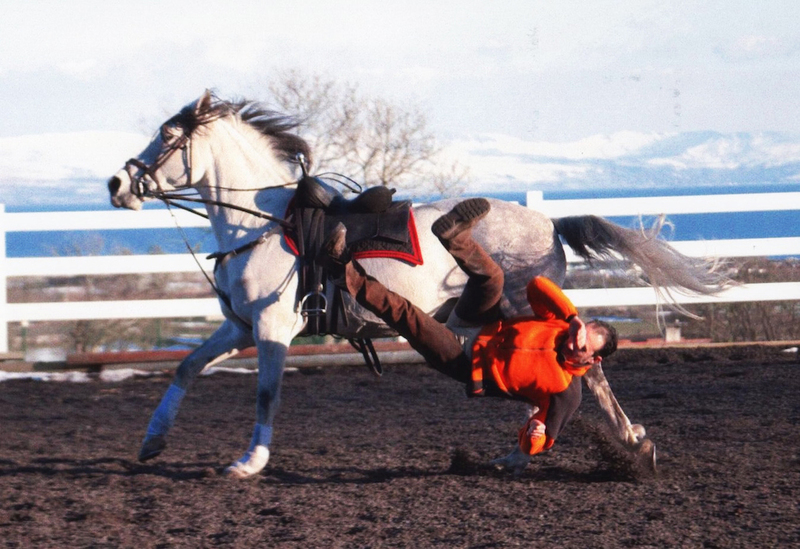 Rear up on command, fall over at a canter time and time again without being at all fazed. 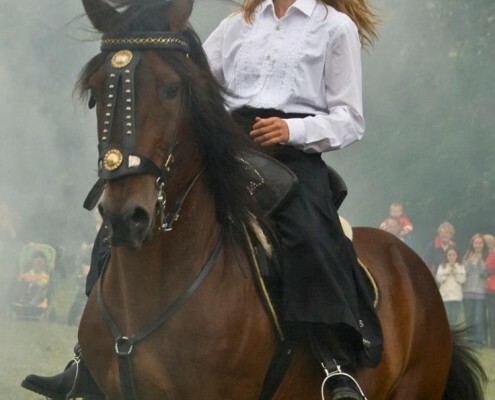 These horses must have an attitude, and most importantly enjoy performing! 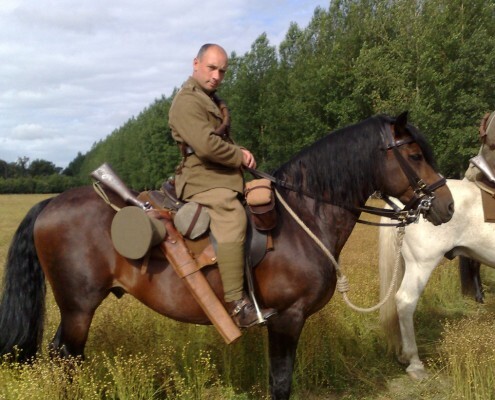 A really good film horse can achieve up to 5 or 6 skills such as – trick riding, carriage driving, mounted combat, fire work, rearing, stunt falling over etc. But I find most horses settle with 2 or 3 skills. These horses must be amazing, you’ve been training them now since childhood do you think the way you train the horses changed much from when you started? We usually keep to our tried and tested methods although I have gained much inspiration from Portuguese equitation. 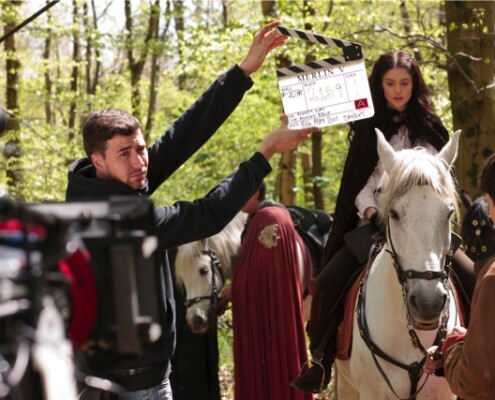 In general Hollywood Productions bring the Period Blockbusters over to UK and Europe to film because there’s a reputation for the highest quality amongst the horse trainers here. 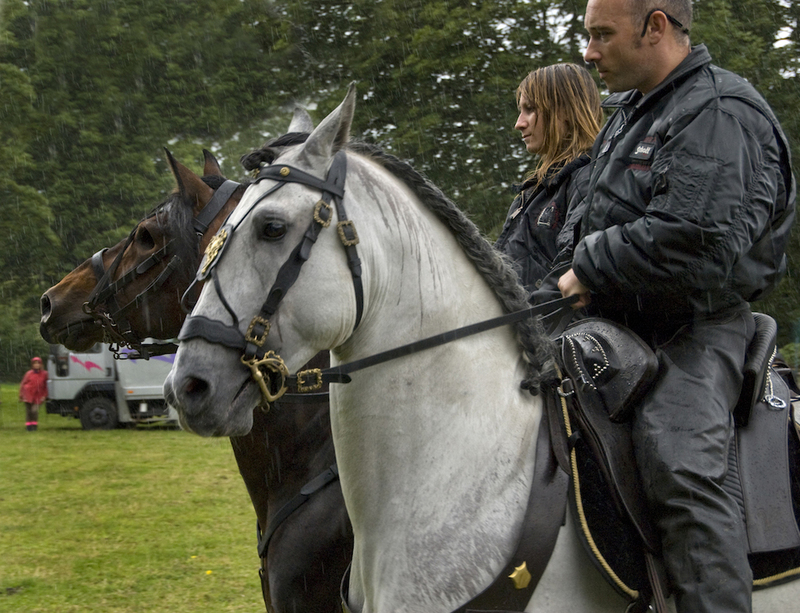 In the UK there are some of the biggest horse teams, most of them are based near the film studios just outside London. We are only in small business by comparison so I am proud that we get to work along side some of the best horse masters and stunt riders in the industry. Is all the training done at your farm? Yes , all my horses and team train at out farm .We have an outdoor school and an indoor arena nearby. We are very lucky in that we have a natural training ground to prepare the horses. We have mountains, lakes, beaches, farms and the ocean, busy roads and heavy traffic. Our horses are introduced to everything so they become fearless and as we term ‘bombproof’. Or at least as close to bombproof as possible. 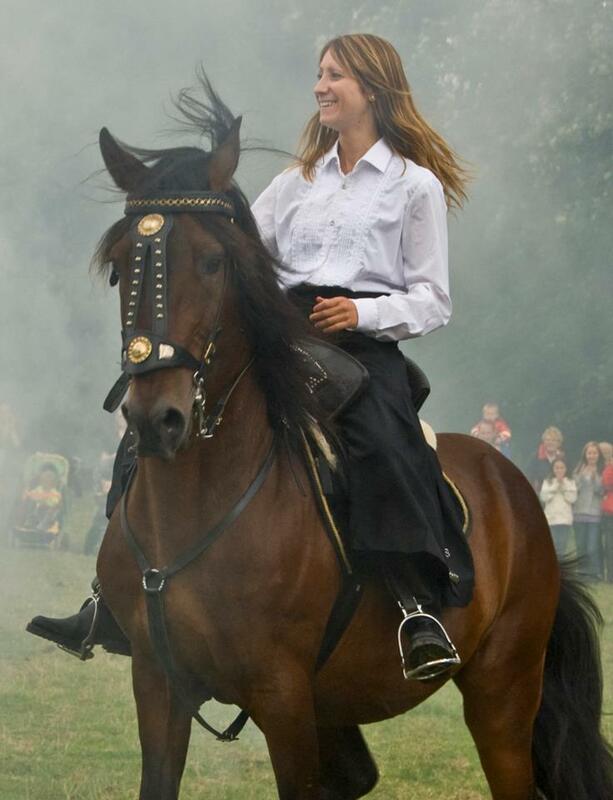 Naturally the burning question on my lips is about your Lusitanos – I know you do have several of them, please tell us how you find them to train and work with? 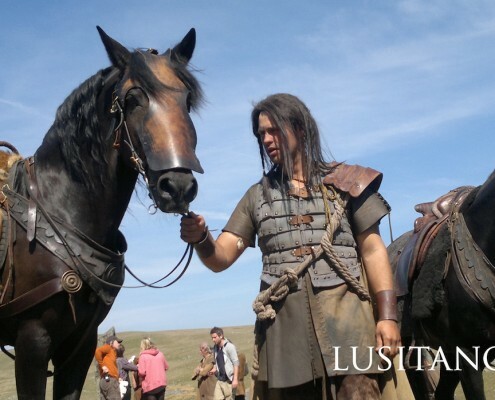 I love Lusitano’s! Some of my best horses are this breed. I find them fun, sometimes a challenge, very intelligent and honest horses. 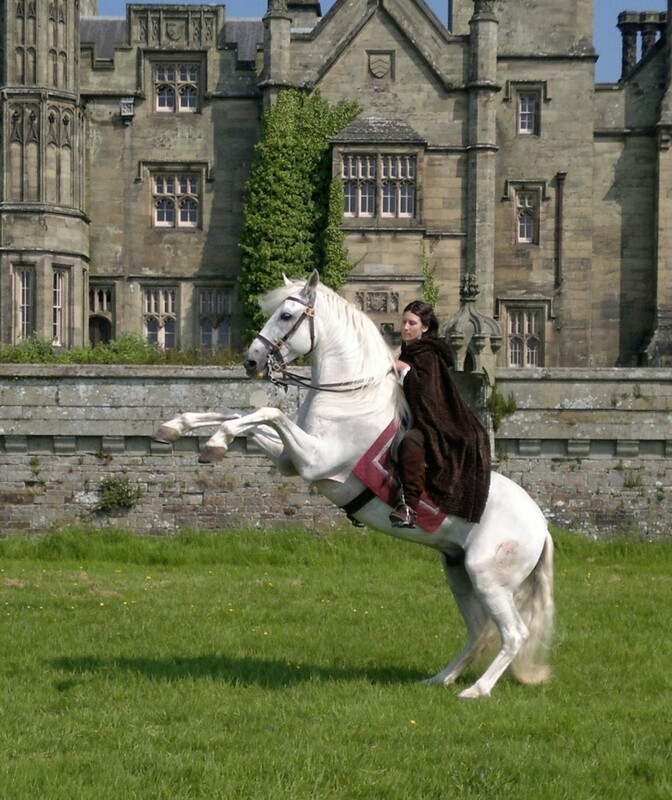 I have Actor trained Lusitanos and also action / stunt trained Lusitano’s so they are very versatile. In my opinion they are not an easy horse to ride or understand they don’t suit everyone. This is because they can be quirky, sharp and sensitive ridden . But if you have the knowledge to understand them, I think they are, one of the best breeds around. What are the most popular breeds used in film? How do the Lusitanos compare? There’s a lot of Pure Bred Spanish horses in the industry, also the Freisan horses and cross bred horses. All the different film teams in the industry will have their own breed preferences. Some like the Spanish horse, Some like the Portuguese horse. Some might have both breeds for different skills and jobs. In my experience, the Portuguese horse is sharper than his Spanish Brother but at the same time has more courage. 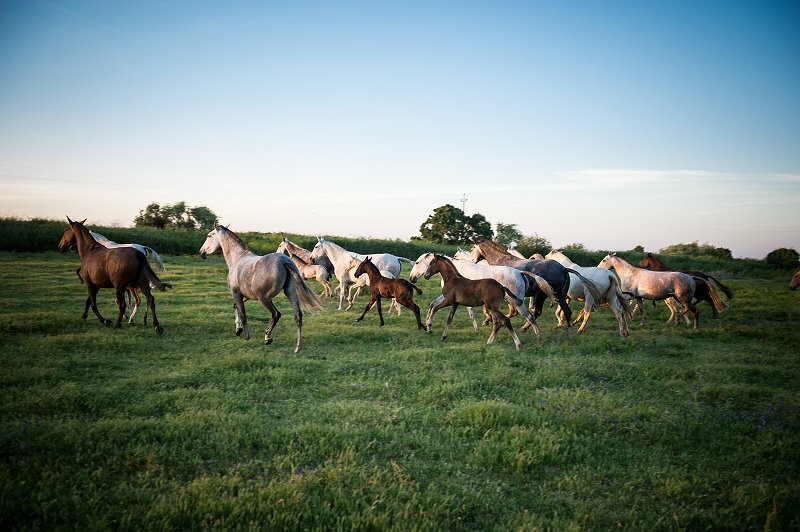 The Spanish horse tends to be chosen because it is less sensitive in general than the Portuguese horse – but that’s generally speaking. 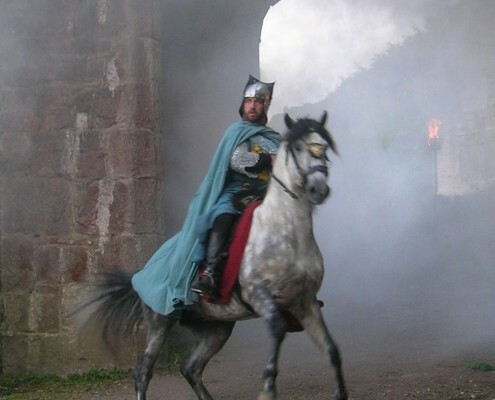 I find although the Portuguese horse is often hotter (depending on bloodlines), however you can send a Lusitano into a full energy battle scene, get the horse really hot mentally. As soon as the Director say cut, you willl see the same horse stand still and be a cool straight away. It is very good to see this, they have a working mentality. 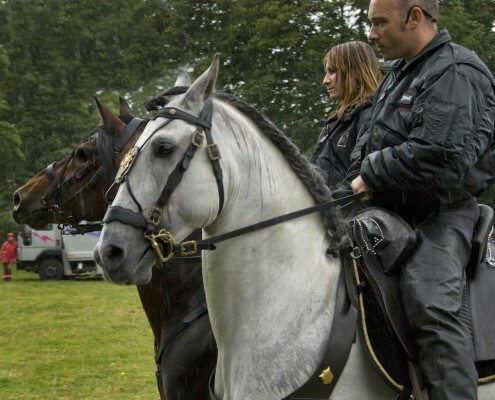 I love it the Lusitanos are so cool !!! Dylan, how do you choose your horses? and what age do you prefer? I’ve grown up around horses . I was riding before I could walk. So I guess I’ve picked up the energy from the horses. For some reason, if I see a horse I’ll know very fast if he or she will be good for me. and more importantly if we’ll get on. Generally, the younger the horse the better. 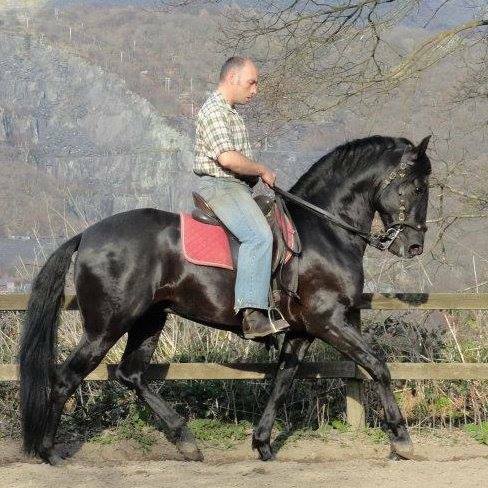 Sometimes though, horses pick me this is how I came to have Valmorim from Jan Pendlebury – who has a Classical Centre near me. A few years ago she invited me to see her new Lusitano foals – which naturally I was delighted to do. When we arrive at the field, as with most very young foals they were shyly hiding close to their mothers. Then a little black foal came out of nowhere and stopped in front of me. I knelt down and slowly put my hand out, the foal reacted by licking my palm. He was so brave and bold I knew he was going to have a life with me. 13 Years later that black colt, now grey is one of my very special horses. He is unique, he can read my mind, and I his. We’ve grown up together. 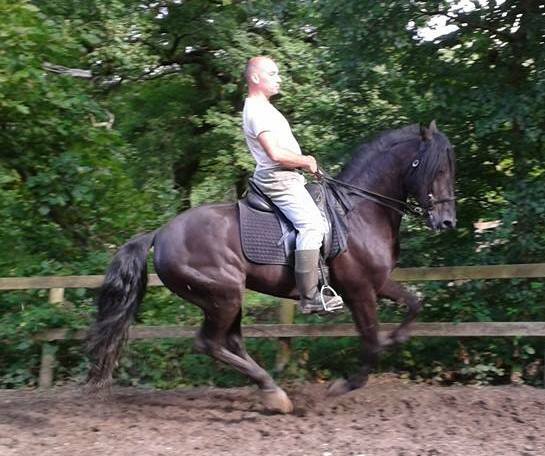 Valmorim and Diablo (my greatest horse a Welsh stallion), are two horses I am certain chose me! I am extremely curious and interested in the Lusitanos that I found for you as 3 year olds, two half brother black Alter colts. I know one has turned out to be an ideal film horse and the other is stunning looking with the magical flowing mane and tail and he has been in photo shoots galloping along beaches. Can you talk a bit about them how they are to work with. Yes although half brothers they are totally different in nature . Choque now called Beauty because of his extraordinary long mane is a fairy tale horse. Apart from Valmorim he is the most sensitive horse I’ve ever ridden. He’s not really a film horse, more of a one to one for liberty work and modelling potential – he does have incredible good looks! He’s already worked on an advert for Clogau Welsh gold. 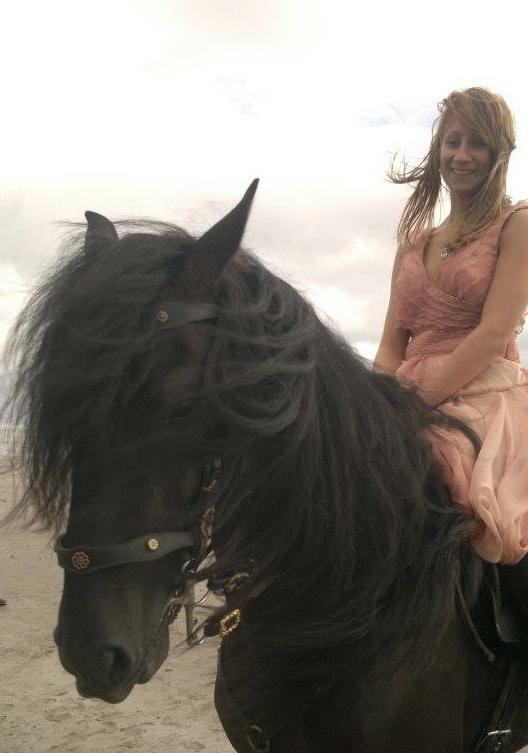 cantering along the beach with Amie, one of my fully trained riders. Once he has matured he’s going to be worth his weight in Gold. He is a fantasy black stallion with a stunning mane the perfect model. I believe he’ll be one to look out for in the future. Casquito, his half brother. is a totally different horse. He actually reminds me of Diablo. He has a very strong and quirky character. I get on really well with this stallion. 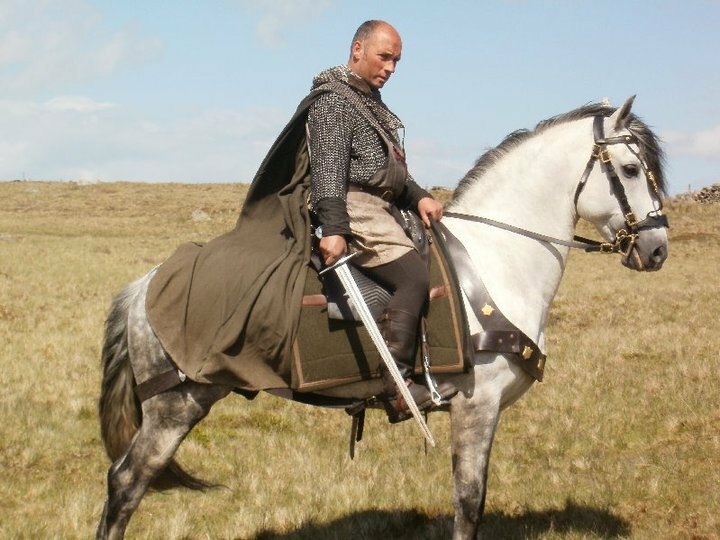 He has already worked on the final series of Merlin, the first series of Atlantis and was my mount down in Pinewood studios while we were filming Exodus, the new Ridley Scott film. The first training day he freaked out at chariots charging towards him in the rehearsal field. He reared vertical, I came off! I climbed back on and carried on with the rehearsals, after that incident he didn’t put a foot wrong. I don’t know if he scared himself and thought it was best stick with Dylan or he just worked it all out. I think he worked out that this was his job, he is an intelligent horse. When it came to the shoot days he was perfect all the way through. 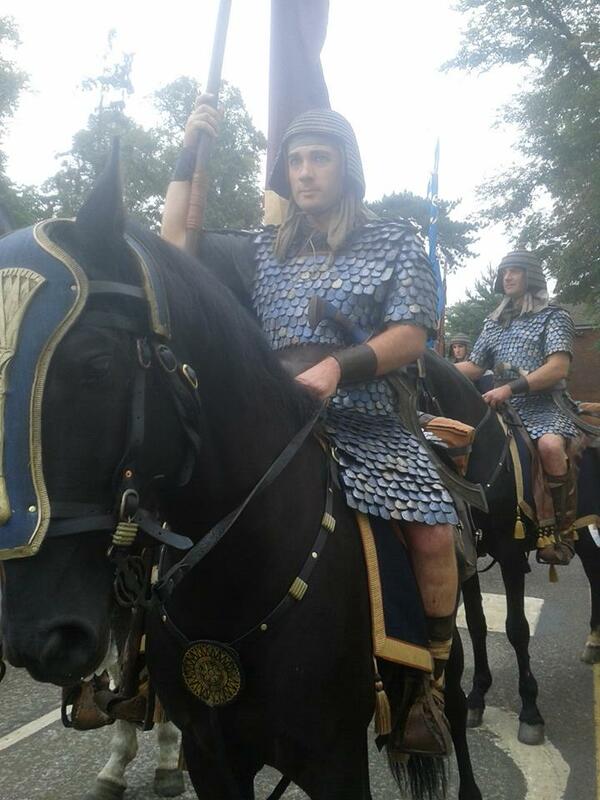 There was 150 horses and chariots charging through into set. It was the first ever time for him to be on a job that big. Top horse. Well apart from mine ! 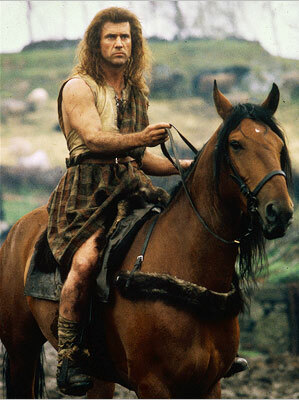 that has to be the bay Lusitano stallion owned by George Bowman in the Brave Heart movie ridden by Mel Gibson. What type of films and television companies do you work with? 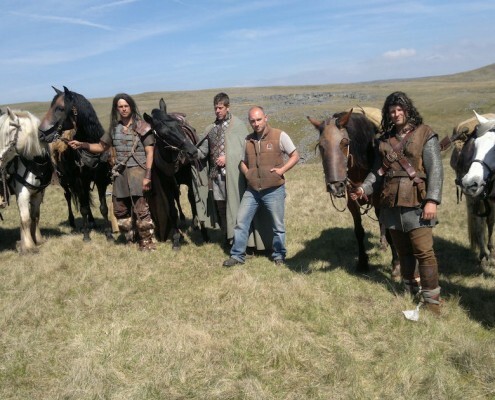 Over the Years I’ve worked with various Welsh television companies , BBC , A lot of US Movie companies come over to Wales to film to work with us. 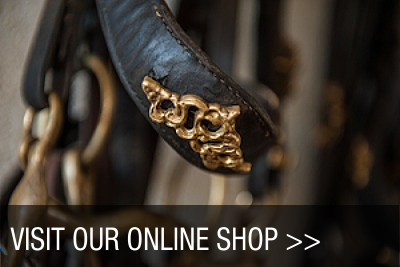 We’ve worked for Steve Dent and the Devils horsemen, both big companies near London. 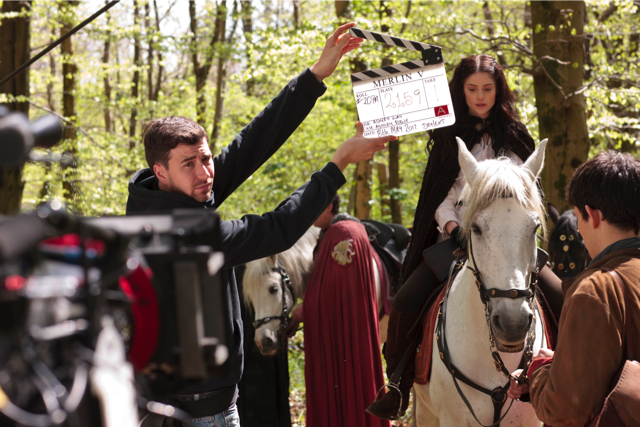 I’ve supplied horses and riders for them on their bigger productions like Robin Hood, War Horse, Snow White and the Huntsman. Ridley Scott’s new Feature, Exodus and we’ve just recently finished filming a new adaptation of the famous novel , Lady Chatterley’s lover which is due to air as a television movie on BBC later this year. What do you enjoy doing the most in the business and with the horses? I enjoy working my horses and traveling to new places. I’m not a good business man to be honest. I just love what I do and am very passionate about producing top quality equine performers. I started off acting and grew up with horses so it was natural for me to go down the road I’m on now. Better than working in an office! What has been your favorite film and greatest most proud moment? Has to be Robin Hood. I had as much fun on that movie, great experience and amazing team. There were 150 horses and riders and by the end of it we all knew each other very well. I am still friends with many of them today. 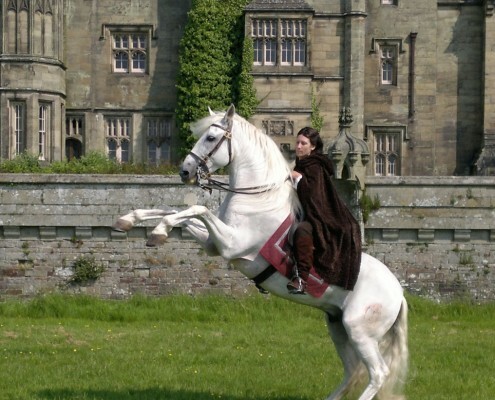 The best television job has to be the BBC’s Merlin series. It was just a great show to be part of. I’m proud most of the time just watching my horses do what they do, well when they behave, that is …. Ha, ha! Dylan thank you so much I have loved hearing about all you, your team – horses and humans do, we will all be looking out for you in the up and coming films. 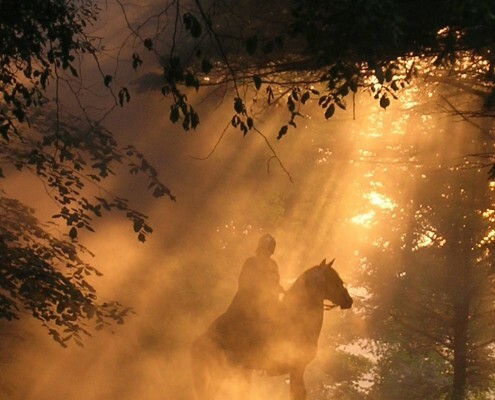 I firmly believe that the Lusitanos, Portugal, the equitation masters, you and your company’s equitation talents and experience have a great deal to offer film companies here in Portugal. I am so delighted to now be developing this opportunity with you through our events business. Yes I agree, I think it is natural to join forces and make to most of Portugal’ s scenery, landscapes and medieval buildings and put them to good use. We’ve been talking about this for a while now and personally, I think that Portugal has great potential. So watch this space ! !